How Does a Running Toilet Impact Your Utility Bill? You may not realize how much a running toilet can impact your utility bill. Follow these steps to keep yourself from dealing with such an issue. When your water bill suddenly increases you may wonder at the cause. There may be no visible leaks, but that doesn’t mean there is no wasted water. A running toilet is a common culprit for the case of a high water bill. 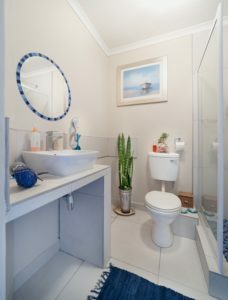 Running toilets may seem like a minor problem, the water isn’t leaking all over your home so why worry? But in reality, this constant running can have a more significant impact than you might think. Leaving a running toilet for too long will make an immediate and distinct impact on your bills. While you may think it a simple thing, in reality, it has the same effect as leaving a faucet running consistently. Not only does it waste a precious commodity, but the costs add up quickly. In some cases, a running toilet is accompanied by a tell-tale sound that can be easily identified and then addressed. However, it’s not always so simple. If you believe your toilet is the source of your increased water usage, it’s time to take a look at the entire unit. Start by turning off the water supply to conserve water until the issue can be detected. When you’re ready to perform some tests, the water should be turned back on. One of the first places to check is the inside for the water tank. In many cases, water will continue to run because the stopper flap isn’t closing correctly. The flap can be affected by a variety of problems including a caught or tangled chain. If the problem is not immediately apparent, you may try a water dye test. After waiting about 20 minutes after flushing, add food coloring or dye to the top tank and let the unit sit without flushing for another 20 minutes or so. If the toilet tank is performing correctly, none of the colored water should have escaped, but if there is an issue, it will become quickly visible. In some cases making a repair to a running toilet is quite easy. If the flapper chain is caught or tangled, it will just need to be adjusted to fix the flap. Additionally, you will want to check that the water line to the toilet is entirely open. Try closing the line and then reopening it completely to verify that there are no issues. If these fixes aren’t enough, it’s best to call in a professional as soon as possible as the costs of a leaking toilet can quickly add up. This entry was posted on Friday, February 8th, 2019 at 3:37 pm. Both comments and pings are currently closed.